If only all interviews involved the same levels of honesty, enthusiasm and ambition as a conversation with Sonya Lennon. She’s a woman who wears many hats: mother of twins, broadcaster, stylist, fashion designer and one hell of an entrepreneur – and she’s still hungry for more. 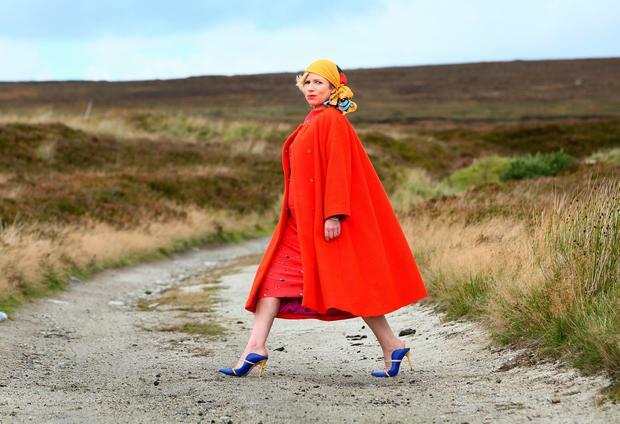 We meet on the Old Military Road in the Dublin Mountains for a few pictures to set the mood for our feature and she arrives in a colourful ensemble (all by Lennon Courtney – the label she shares with long-time business partner Brendan Courtney – of course), in a new Audi A5, braving the excessive wind and incoming rain, all with a smile on her face in the name of landing 'the shot’. Pose after pose, she flows with a sense of purpose in each picture, having developed a sense of confidence over three decades behind and in front of the lens. After 30 years in fashion, does it ever get old? “I’m more struck in a way with the consistency of what still gives me such joy and that is creating a narrative with clothes. When I started working, I was working in high end women’s fashion retail and there were only a handful of stylists at the time. I thought that was the best job in the world and I could do that,” she tells Independent.ie Style. While she mightn’t take her wardrobe so seriously, she does, in fact approach life through a rather analytical gaze, and as she approaches her 50th birthday, it has given her even more opportunity to measure her accomplishments thus far, of which there are many. “I’m feeling great, I feel very privileged to be at a stage in my life that I’m happy to celebrate this milestone,” she explains. “I have a really strong sense that I’m only finding my own now and that actually feels like a beginning. “It sounds weird, it kind of feels like everything up until this point has been a very immersive education and now you bring all that together and because of the fact that I have achieved quite a bit, you then layer on top. Open self-confidence isn’t an especially common Irish trait, particularly among women, but Sonya makes a compelling case for unashamed high self-esteem. She's never played by anyone else's rules but her own and speaks with such pride at her efforts, especially in business, having set up four separate companies over the last seven years. 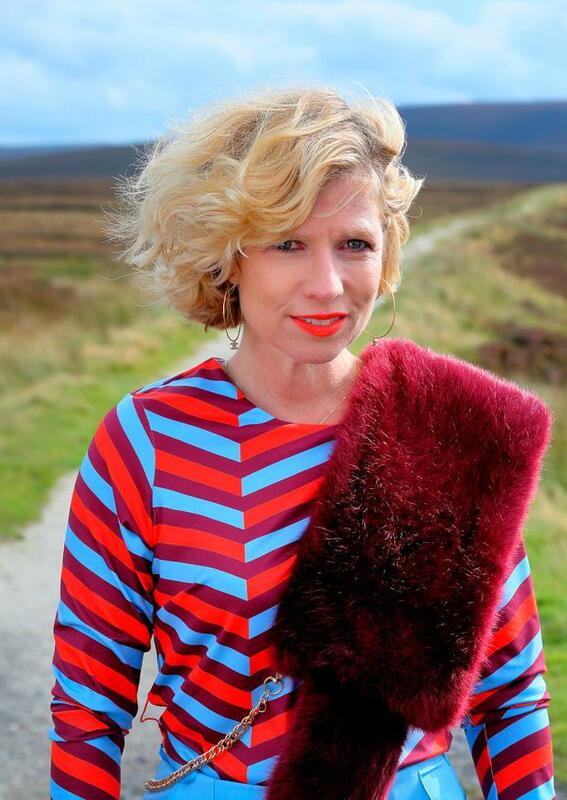 Her two babies (aside from her actual two babies, which we will get to shortly) are Lennon Courtney and Dress For Success, a non-profit which encourages the economic independence of women returning to the workplace, by helping them secure professional clothing, interview preparations and development opportunities through a dedicated network of women. Her mother Deirdre, who is battling dementia, was an essential driving force in Sonya’s life and so powerful was the effect she's had on her life that she is now a vocal advocate and activist when it comes to other women, in all aspects of life. “Economic independence is hard wired into me,” she explains. “My mum was a working mum when it was less common in Ireland to be. For her, it was her passport to being a key decision maker in the home as she always told me, ‘If you’re not part of the revenue, you’re not a key decision maker’. Although Sonya’s personal experience is one which balances work in and out of the home, she is simply a woman who likes to work outside the home and encourages anyone else who would like to to do the same. And she recognises the complicated, multi-faceted elements of women’s lives whether they be in a business or domestic setting. “Earning your own income and being financially independent creates an independent spirit you can pass on to your children,” she says. Her own home is a busy one as she and partner of 24 years David Smith have 13-year-old twins Evie and Finn. Does she parent them differently by gender? “I think it’s a daily practice in a way. I grew my own little anthropological experiment in having a boy and girl at the same age under the same circumstances,” she explains. “By definition, as a twin mum, you don’t have the luxury of one reality for one and one for another, everyone’s in it together, you just muck in. Case in point is when, three years ago, her daughter asked to have her ears pierced as a Christmas present, which she approved. When her son followed suit and asked for the same, she said no. Her relationship with their father is one spanning over two decades, but the motive to marry has long since left her mind. “I think at the time, I really wanted to and he really didn’t. He really didn’t more than I did at the time and I wasn’t truly mad about it anyway,” she says. There is nothing off limits for Sonya and I comment how very rarely you come across a high profile interview subject with such candour. Which brings us back to women in work and the concept of ‘having it all’ – does the balance exist? 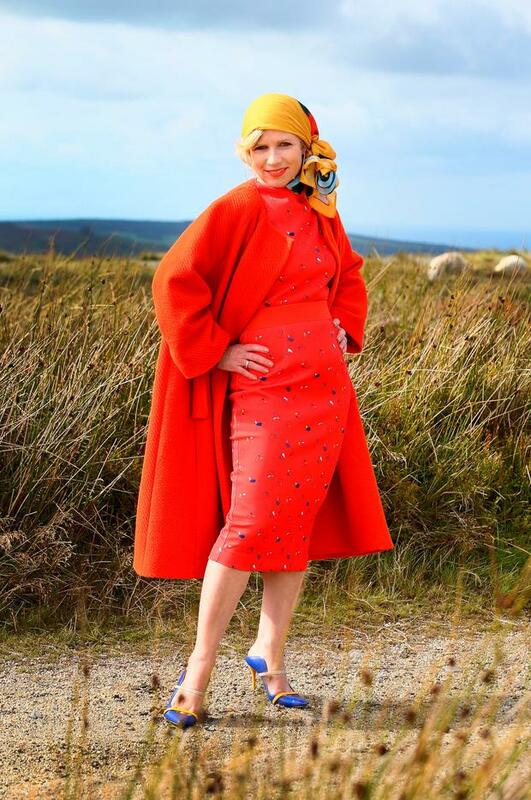 Her transition into business has been an organic one and one that has seen her aligned with organisations like Dress for Success and most recently, LIFT (Leading Ireland’s Future Together), and her ambition to help comes from both her breakthrough moment on the small screen and as always, her mother’s everlasting influence. “I knew I had a profile and I was a late bloomer in broadcasting, I wasn’t chasing fame, it just happened,” she explains. “I felt at that point in my life that I had an obligation to do something with that profile to have an impact on the community. “I gained so much confidence from presenting Off The Rails and with that confidence, it gave me a greater context and I do feel connected outside myself. Cliché as the question is, Sonya’s schedule makes my head spin, how does she do it all and keep such an optimistic outlook? “I do a lot of thinking. I have amazing people around me. Five years ago, I joined a group of women – well we’re known by a number of names – but it’s a women’s entrepreneur network, it grew out of Going for Growth with Enterprise Ireland,” she tells me. “They came out the other side of the programme and realised they had more to do. It’s now 10 years old. The sense of camaraderie that comes with such an established network of like-minded women is somewhat of a rarity, even in 2018; a year which could be safely described as ‘the year of the woman’ after more powerful calls for equality across the board. “My least favourite thing in the world is a group of women who sit around and say how things should be better,” she declares. “That’s kind of rubbish. We need male advocates for equality and harness the power of the men who get it in order to change the minds of the men who don’t. By all accounts, Sonya has inherited her mother's sense of joie de vivre, that "firecracker" spirit that lifts her, and those around her. She has harnessed her strengths through a self-auditing process in which she analyses aspects of her life, deciding which needs more or less or attention or which might need to be cut altogether. “I write a grid and that grid holds the various departments I have to deal with in my life - fun, fitness, relationship, children, extended family, the family that made me, and business,” she explains. “I score each out of 10. You just score it based on your gut. “Then I took it a step further - I put two scores in each square and analyse what am I investing and what am I returning?